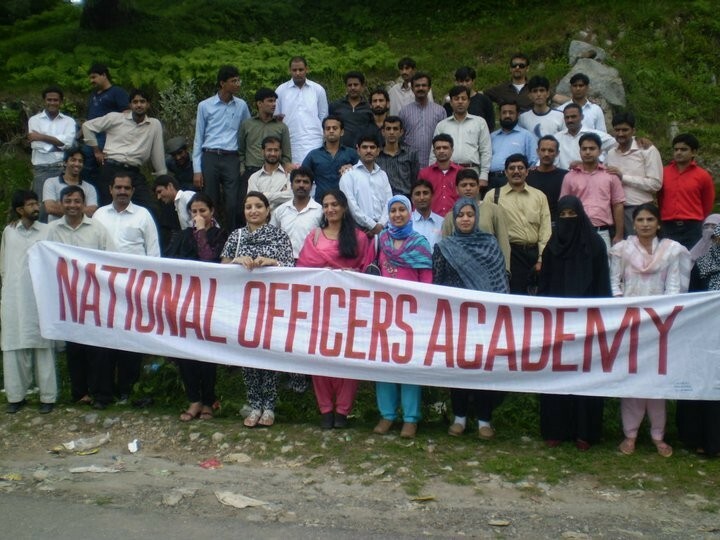 National officers academy (NOA) is the largest private institution for the preparation for CSS/PCS/PMS & other competitive examination s held by federal public service commission of Pakistan and Public service commissions of all other provinces along with Azad Kashmir. 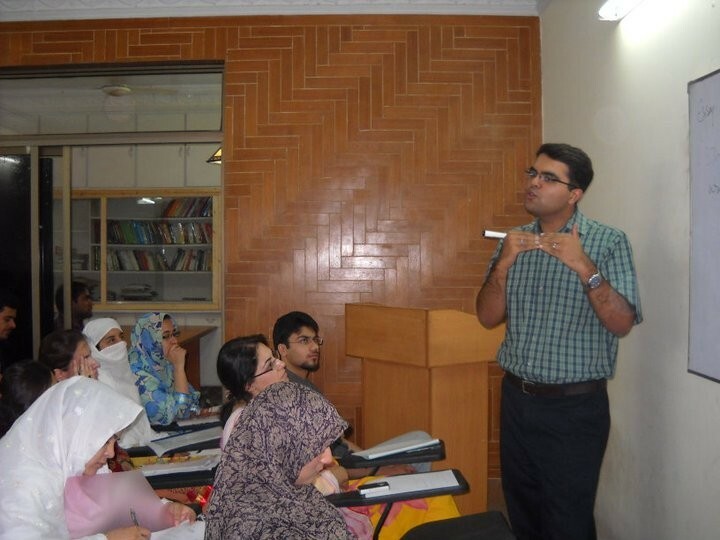 Its establishment followed a seminar held on 13th may 2007, to celebrate the outstanding success of Mr. Fida Hussain who clinched the first position and broke record of the highest score of CSS Exams in the span of last 20 years. Immediately after its inception, the new born academy received more than 60 applications for admission to the proposed preparatory classes for the CSS examinations of 2008 and the academy went off the mark with two batches of 30 candidates each on 17th May 2007. 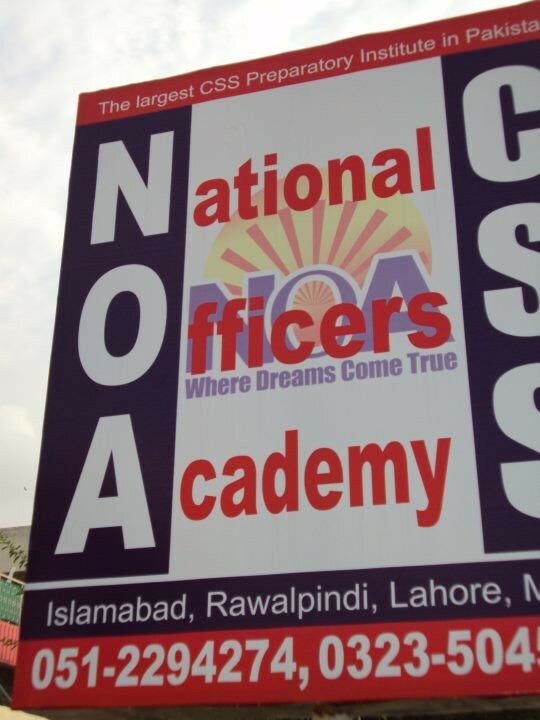 Soon the fame of national Offices Academy (NOA) reached every nook and corner of the country and the aspirants of joining central superior services of Pakistan made a beeline for admission. In addition to the main campus in Islamabad, National Officers academy has established another branch in Karachi where our most sought after faculty from both Islamabad and Karachi has been imparting the most effective guidance to candidates of the css exams. Our competent and renowned faculty is busy day and night in imparting a real guidance to the candidates through their meticulously prepared lectures painstakingly devised notes, circumspectly selected books and other resource material in more than 30 subjects . NOa is pioneer in preparing candidates for the competitive exams in period of just 90 days. Largest CSS Faculty Holder Institution in the country. 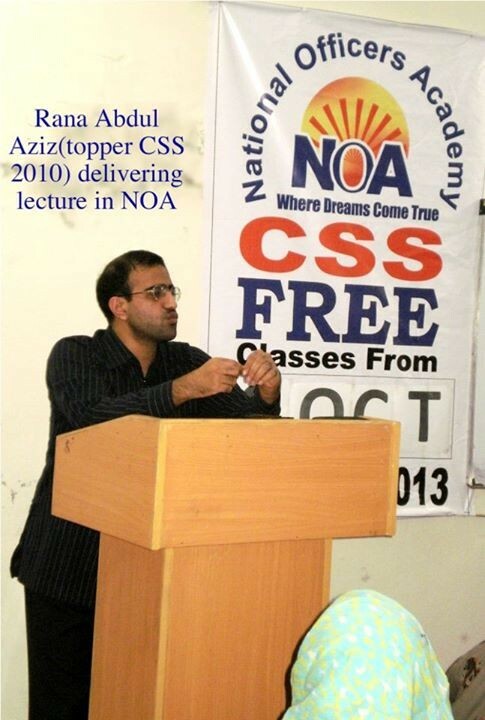 The only institution where not only CSS Topper but CSS Record holder guides, Coaches, trains and teaches. The only institution of the country where Largest guiding, grooming and teaching. The only institution of the country where largest number of PSP, FSP and DMG officers are coaching, guiding, grooming and teaching. The only CSS Preparation Institution that has ever and for the first time in the history of CSS has produced such a huge result of CSS written examination. The only CSS Preparation Institution of the country that has complete assessment of the candidate's success abilities. The only institution of the country thats helps candidates set their realistic targets and complete package to achieve your desired targets. The only institution that has done and proved what ever it has said and committed do. The only CSS Preparatory Institution which has established Research and Development Wing that remains busy in finding solutions to problems and challenges of CSS candidates and preparing material for CSS Candidates. 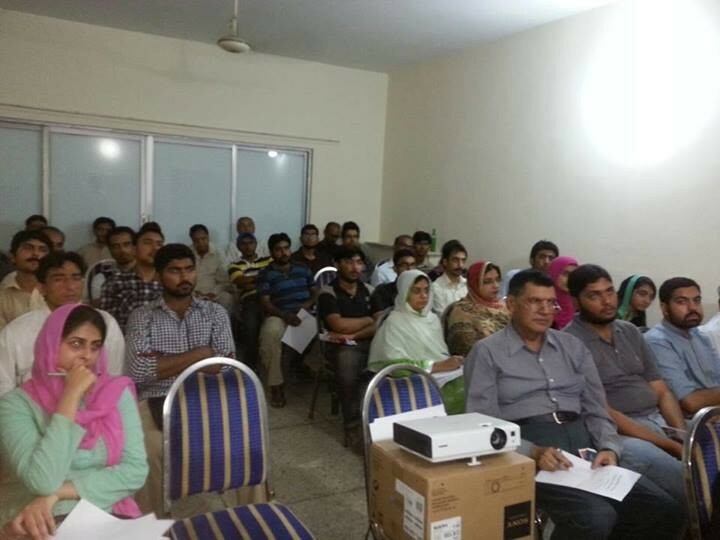 Pioneer of three months preparation of CSS examination in the country. The leading institute in interview Preparation.